Congratulations to our Y3&4 girl’s football team, who have added another trophy for our cabinet! 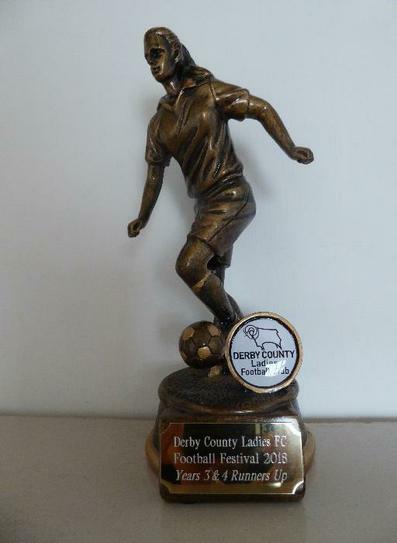 Ashgate played in the Derby County Ladies FC football tournament held at the Lucozade Powerleague Soccerdome on 13th March. Sixteen teams entered the competition with Ashgate and Firfield Academy winning their respect groups. The final finished 2-2 after normal time, then we played extra time during which Firfield scored one more goal to win the tournament and Ashgate getting the Runners Up trophy. Well done and thank you girls; you were brilliant both on and off the pitch, embracing the Ashgate ethos of respect towards other teams and each other. Team: Abby, Alesha, Charlie, Freya, Maleeka, Rose, Sara, Scarlett-Rose. Many thanks to Miss Lammond for her help and support at this event.